The majority of people know how to play blackjack before they’ve even visited a casino or played online, making it the most popular casino game. However, although most people know the basics of blackjack, there is a lot more to the game if you want to profit from it. Blackjack is a game of strategy and maths and to come out on top you must learn what to do with your cards and bets in certain situations. As well as knowing when to double up, when to hit and when to surrender (in certain blackjack varieties), it is vital to know when to split pairs in blackjack. When you are dealt a pair in blackjack you are given the option to split those two cards and play them as two separate hands. You are then dealt one more card on each of the two hands and you then play them as you would any other hand. There are only ten card values in blackjack and so you should be able to memorize which pairs you should split and which ones you shouldn’t without too much of a headache. In this article we will go through all ten possibilities of pairs you can be dealt and let you know which you should be splitting. A pair of Aces is probably going to be the easiest one to remember as you should always split them. It doesn’t matter what card the dealer has, just split them! Splitting aces always gives you the best chance to end up with a hand close to or at 21. If you don’t split aces then your starting cards will add up to 12, meaning only a 9 will get you to the holy grail of 21. They can also add up to 2 which isn’t as good as 11.. If you split aces then you’ll have two starting cards of 11 and can either hit a 10, Jack, Queen or King to get 21, therefore increasing your chances. Splitting 8’s is one of the most highly debated topics in blackjack strategy. 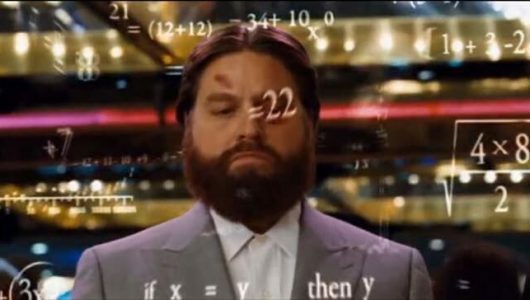 When the dealer shows anything other than an Ace or 10 then the choice to split or not is easy. However, a lot of blackjack players are scared to split 8’s against a 10, thinking that they will end up with two hands of 18 and the dealer will have 20. However, you should never assume the next card will be a 10. Only 16 card out of a deck of 52 are 10’s, which is around 30%. If you don’t split 8’s then you starting hand is 16, which is a very weak hand. You have around a 60% chance of busting if you hit on 16 and even if you do manage to hit a 5 or below, it may only be a ace or a two. If you choose to split 8’s then you have a much better chance of beating the dealers hand when they have a 10 or an Ace. Mathematics show that you lose a lot less often when you have an 8 against a 10 or Ace than you do if you play a 16 against a 10 or an Ace. Splitting 10’s is considered a big no-no in blackjack strategy. A lot of beginners see splitting 10’s as an attractive option when up against a 5 or a 6 but this is one of many common blackjack mistakes. If you are dealt two 10’s then you have a total of 20 which is a very good hand. If you split 10’s then you will, more often than not, end up with two hands that are lower than 20. Always remember to minimize risk in blackjack. Thinking of splitting 10’s? – Don’t! Lets take you back to school – What does 5 + 5 make? Well done – 10! Ten is a great starting hand to have! Why would you want to change that? If you split 5’s you are left with two very weak starting cards. If you don’t split then you have a good chance of hitting a high card next which will get you close to 21. As with a pair of 5’s, the same goes for a pair of 4’s. Although a pair of 4’s isn’t as good as a pair of 5’s, keeping the two together gives you a better hand than splitting. You can’t bust on your next card if you don’t split and starying with an 8 is a lot stronger than starting with a 4. Being dealt two 9’s means you have a hand of 18 which is not bad depending on what card the dealer is holding. When the dealer show an Ace, 10 or 7 – Don’t split. You’re better off standing with your 18. However, if the dealer has a 2, 3, 4, 5, 6, 8 or a 9 then splitting is the correct choice. Only split 6’s when the dealer shows a 2, 3, 4, 5 or a 6. If the dealer shows a 7 or above you should hit. 2 through to 6 are considered weak hands and you are mathematically more likely to beat the dealer by splitting 6’s when they show one of those cards. If the dealer is showing a 7 or above then you should improve your hand by hitting. Only a 10 will make you bust. A pair of 2’s, 3’s and 7’s should be split only when the dealer is showing a relatively high card. In this case and 8 or above. If the dealer is showing a 7 or lower then your best bet is to hit. Fancy playing blackjack online with some free money but keeping the winnings? 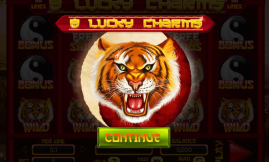 Head on over to Grand Fortune Casino and collect your free $35 NO DEPOSIT BONUS. That’s right, $35 FREE with no deposit needed!